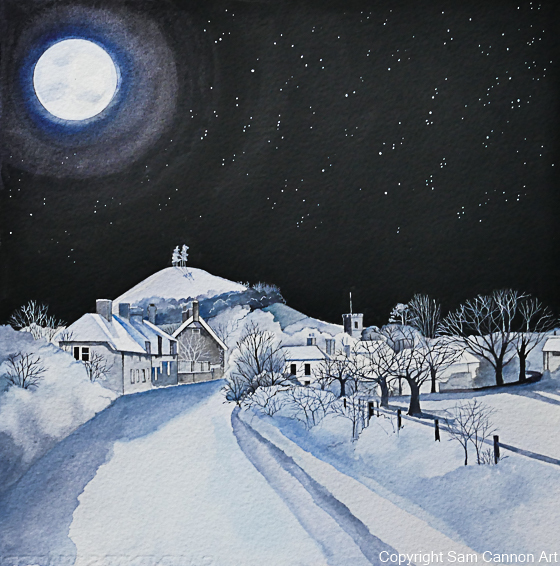 title: Symondsbury, Dorset, in the snow. £200 unframed. Please contact me at info@samcannonart.co.uk for payment options and shipping costs if you are interested in buying this picture.